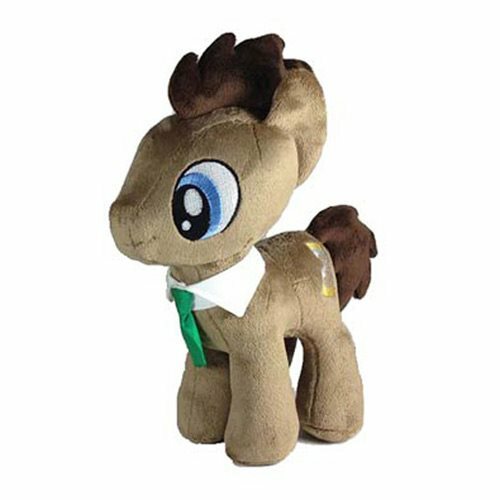 This My Little Pony Friendship is Magic Dr. Hooves 12-Inch Plush has large embroidered eyes, embroidered Hourglass cutie mark, and a My Little Pony: Friendship is Magic logo on the bottom of one of her hooves. The plush fabric has been custom dyed to match the original show colors and every possible detail is taken from the show! This is a perfect choice for any My Little Pony: Friendship is Magic fan! Ages 5 and up.